Visit Punta Del Este during the winter low season and you’ll find a sleepy ‘town’ with empty streets, quiet restaurants and closed bars, home to just 20,000 permanent residents. 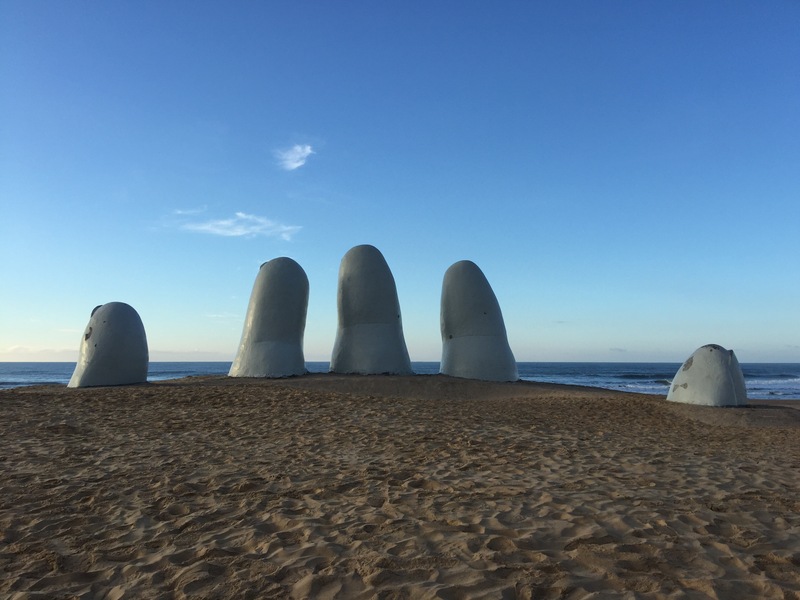 What makes it so striking is that Punta Del Este is in fact a large city with endless high rise apartments whose population swells to 600,000 during the peak season of December and January. 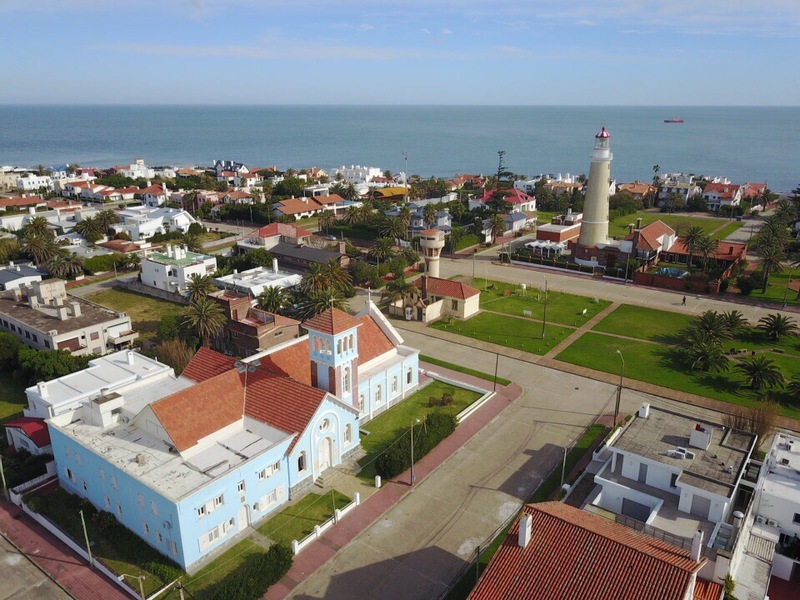 Wealthy Argentinians and Uruguayans have snapped up holiday homes along the Punta Ballena and Punta Del Este coast line, flocking to the city over Christmas period to enjoy the beach and sunshine. During the winter months, much of the town simply shuts up shop, meaning many visitors coming to the areas three main attractions simply head out of Montevideo on a day cruise. We opted to spend a night and got to see most of what Punta Del Este has to offer, uninhibited by the usual crowds. Our initial reaction on arrival was mixed – was it really worth the cost and time coming out here or should we have just opted or a day trip? Luckily we weren’t to be disappointed. As mentioned, many travellers opt to see Punta as a day trip from Montevideo, with tours costing from around USD$50. As we were spending a night, we opted for a COT coach from Montevideo to Punta Del Este main terminal (not the nearby Maldonado stop). Tickets cost UR$296pp (USD$11) and the coach takes around two hours with multiple stops around outer Montevideo and on approach to Punta Del Este. Our return journey involved a COT bus to Montevideo and then a Buequebus bus Montevideo to Colonia and a Buquebus ferry to Buenos Aires – ensure you checkin on arrival at Montevideo or you could find yourself walking. The four buses and two ferries we took ran like clockwork, to the minute, all clean, comfortable and modern. Just a few hundred yards from the central bus terminal is Playa Brava beach and the famous giant ‘hand in the sand’ sculpture. If you’re trying to get the perfect selfie then you’ll have to visit out of season unless you want a hundred people in the background. Whilst good fun, I wouldn’t suggest this one sight is enough of a draw card to want to see on its own, so any trip should factor in the other main sights. Iglesias Church and Old Town. From Playa Brava you can take a scenic 20 minute walk down the eastern coastline, past crashing waves and exclusive summer homes to the Old Town. The picturesque homes, set against perfect blue skies make you realise how the other half live, the most exclusive sitting around the small central plaza which houses the striking sky blue Iglesias Church, a small meteorological station and the Lighthouse – both make excellent photographs and gave us a chance to fly the drone for some over head shots. Just a five minute walk across from the plaza you reach the western shoreline of the Old Town, home to the marina and a number of bars, restaurants and shops. Like most marinas, prices are high but you get great views of sunset (if you’re not at Casapueblo). Built from 1958 as the home of Uruguayan artist Carlos Paez Vilaro, a friend and contemporary of Pablo Picasso and Salvador Dali, Casapueblo expanded into a sprawling work of art in its own right and now houses a hotel and museum. The iconic design, modelled on a local hornero ‘birds-nest’ is a must-see stop, most impressive during sunset when the artists poetry is played on the balcony. Casapueblo sits on a hillside near Punta Ballena, 13kms west of Punta Del Este (on the road to Montevideo). There are no local buses that run there, so the best bet is taxi – we got lucky with an excellent driver who spoke great English and gave us loads of history en route. He offered to wait for an hour while we explore and to take us back – the cost was USD $27 in each direction and we left him a decent tip. Whilst no cheap, we had no regrets as sunset exceeded expectations. Entrance is UR80pp (USD$5) and includes discounts in the museum shop which sells limited edition prints and some original works by the artist. After exploring the museum, we made a spontaneous investment in two Vilaros, a red cat print and a hand signed sketch of Casapueblo. After parting with a small fortune, we escaped out on to the adjacent hill side to get some photos of the buildings as the sun set across the bay. The spectacular yellow sunlight transformed the white washed stone work and gave us some stunning pictures with the drone and camera, before we packed up and headed back to our taxi. 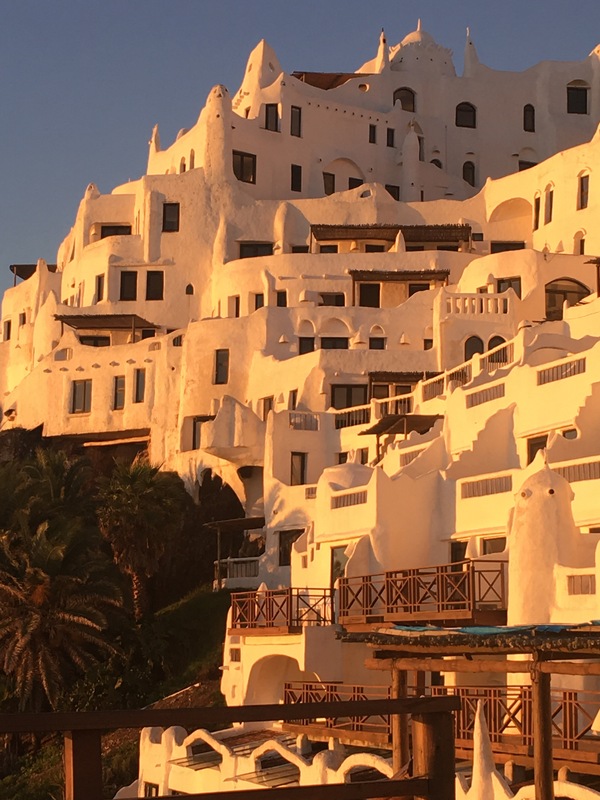 Overall Punta Del Este rates as a must see, and has been added to our list of places we’d come back to!